Home/Carpet and Rug News/The Finest Quality Flooring Profiles and Accessories C.A.T. on display! Producers of the Finest Quality Flooring Profiles and Accessories C.A.T. have a new profile display board. The new display contains a selection of the very best from the special finish originators. Flooring trims in aluminium mirror and satin finishes and polished brass in antique and plated chromes. Whilst the company recognizes there are other profiles available, its own range of trims is designed for and “often in conjunction with” those contractors and fitters who really do want to source the very best for their discerning customers and not resort to installing cheaper anodized products. C.A.T. have been producing profiles for over twenty six years, (special finishes for the past fifteen) providing choice for thousands of residential and commercial installations worldwide. A new updated version of the Comprehensive CAT, the definitive industry encyclopedia for specialist trims is available September 2012. 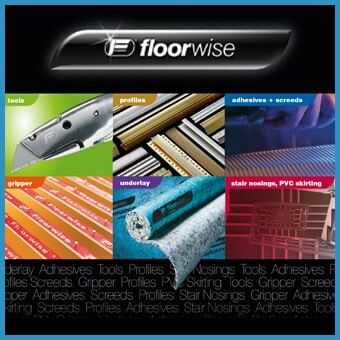 The new catalogue contains new trim and stair nosing ranges and information on C.A.T. specialist fabrication and bespoke facilities.